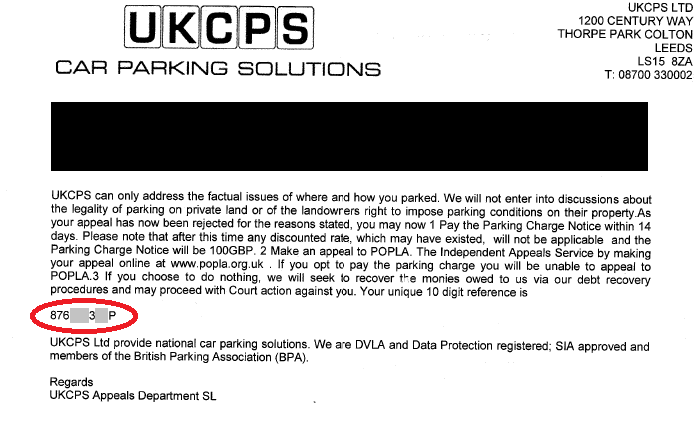 'We are DVLA registered' - how does that work? POPLA should now allow every appeal received by people given a dodgy code. I believe I read something about 9 digit 1 letter POPLA codes in one of the DVLA's FOIA disclosures but for the sake of it can't find it any more... sure those codes are not working? That's my letter that's reacted up there and I can confirm that the code doesn't work. I wonder what would happen if you were to bring that fake to code to a court battle you were fighting about the fine.